Coquito is a Puerto Rican traditional punch served at Christmas and New Years. Most traditional recipes for Coquito call for egg yolks, rum, brandy, coconut milk, coconut cream, sweet condensed milk, cinnamon, nutmeg, and cloves. As much as I love the holiday flavors, I do still watch what I choose to indulge in. It needs to be worth the calories. 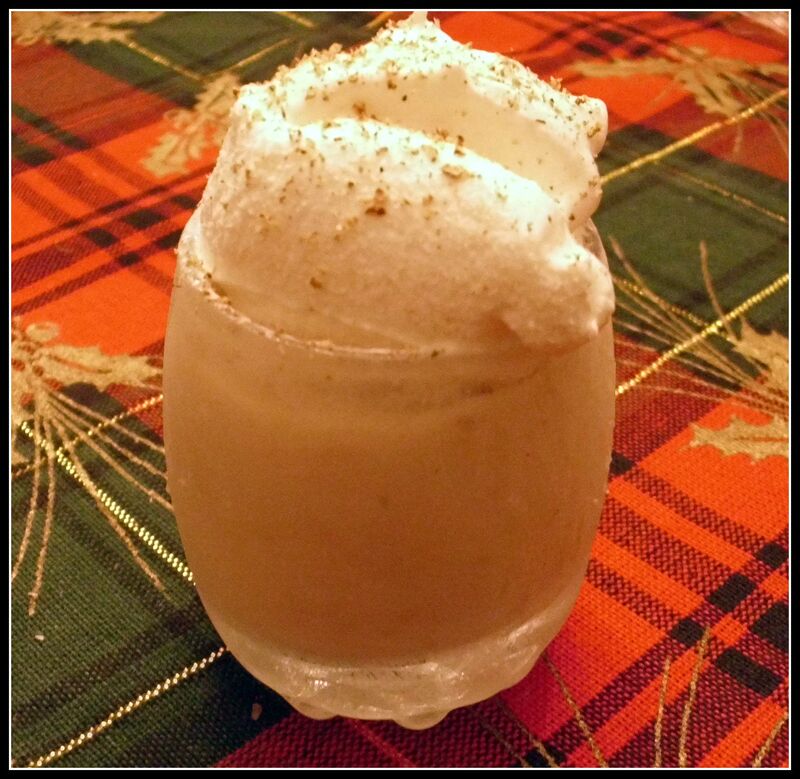 So, I decided to take the flavors from Coquito to develop a guilt-free pudding shot recipe that combines the creaminess of the punch with the rum and spice flavors. In a medium bowl, whisk the pudding mix and milk for 2 minutes. Whisk in rum and brandy and cinnamon. Fold in light cool whip. Pour into small shot glasses, martini glasses or dessert dishes. Put in freezer to set. Take out of freezer 15 minutes before ready to serve. Garnish with dollop of light cool whip, cinnamon and nutmeg. Blogger’s Comments: If you are not watching calories, swap out the sugar-free vanilla pudding mix with coconut cream instant pudding pie mix and use whole milk instead of the skim milk. I love coquito! My husband and his fam make it a little differently (no brandy). This looks fun! Cool! We use brandy. When I researched recipes, some people add it and some don’t. So, I made it first without the brandy and then added it in. It really took it up a notch. Love the pick of the long-haired dachsund… Looks just like my dog. 🙂 Take care.